Available with standard cut off wheels and type 1 cut of wheels with rpms from 12000 to 20000. Also available as a vacuum cut off wheel tool. Models of air cut off wheel tools include from, rear and 360′ rotational. The air cut off wheel tool can be fitted with discs sizes, 76mm, 102mm, 114mm and 127mm. 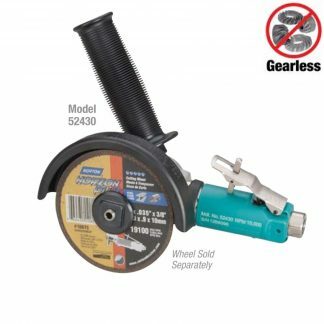 Safety guards can as standard on all air cut-off wheel tools. Please use the filter to find the air cut off wheel tool you need.